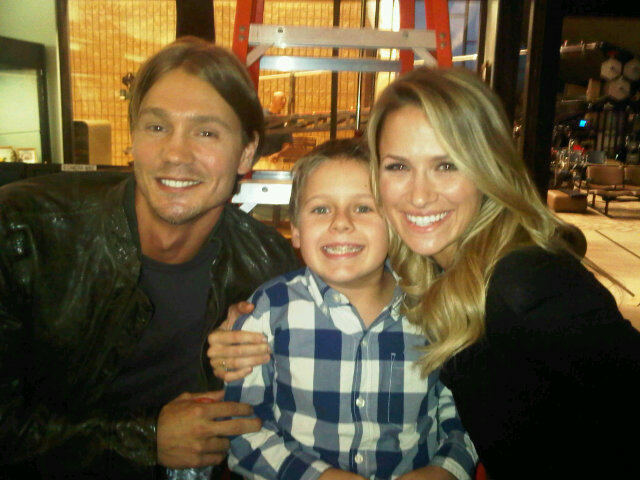 Shantel, Chad, and Jackson on set. Shantel, Chad, and Jackson on set. Wallpaper and background images in the One Tree Hill club tagged: one tree hill shantel vansanten chad michael murray jackson brundage. This One Tree Hill photo contains street, city scene, and urban setting. There might also be reading room, bookshop, bookstore, bookstall, athenaeum, and atheneum.